Mercenaries Wings: The False Phoenix, blends turn-based strategy, old-school aesthetics and a tale of war, betrayal and magical forces! Follow the tale of a band of mercenaries, working for coin but then challenged to consider whether their actions, and those of King Harold, are what is best for the land. What follows is a story of war, betrayal, magical lore and redemption for a nation! 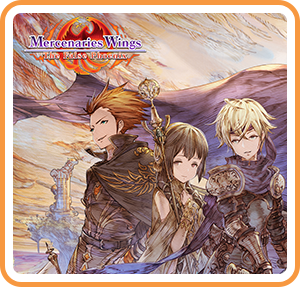 An adventure that will take many hours to complete, Mercenaries Wings: The False Phoenix will challenge even the most careful strategists. ● An all-new standalone story in the Mercenaries series, this adventure offers many hours of entertainment. ● Carefully crafted tactical RPG action. ● Choose a Leader for each battle, level up units, change class types and pick the right equipment. ● Follow the twists and turns of the tale that includes war, magical beasts and leadership challenges! ● Featuring character illustrations by Kazama Raita!